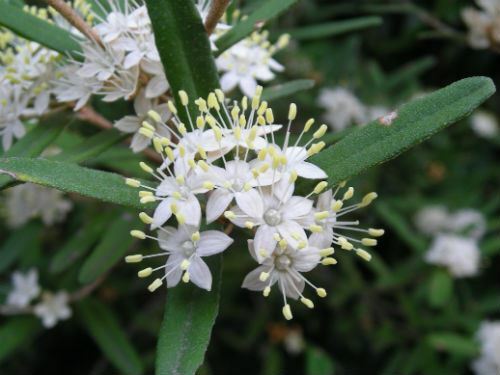 Phebalium squamulosum is widespread along the east coast of Australia growing from coast to mountains. 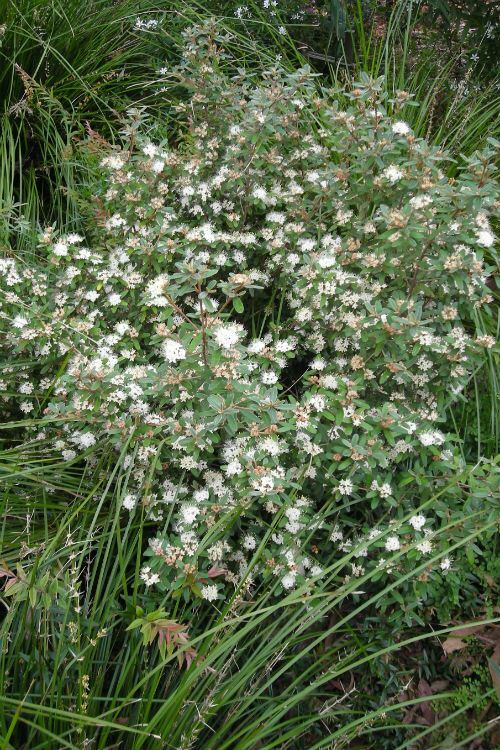 There are 10 subspecies of this plant and this article is about the most common subspecies – squamulosum. The individual cream to pale yellow terminal flowers are five-petalled and relatively small, but as they occur in clusters they are very conspicuous. The narrow oblong leaves are up to 5 cm long and are shiny on top and a paler silvery/rusty colour underneath. I have been growing Phebalium squamulosum ssp. squamulosum for many years in my garden in the northern Sydney suburb of Westleigh and found them to be a reliable and fairly tough plant once they have established. They grow to about two metres high with a similar spread and produce masses of cream flowers in spring. My plants are growing in a thin layer of topsoil over a clay sub soil and receive little additional watering after the first year or so. After planting, I have sometimes found that they just sit there and do not put on too much growth. This may be due to the lack of consistent moisture as my garden is normally on the dry side or perhaps they are just in the wrong spot. They grow best in some shade, good drainage and a mulch to ensure a cool root run. The only maintenance required is light pruning after flowering to keep them compact and promote better flowering next season. This plant deserves to be more widely grown in our gardens. Phebalium: from the Greek phibaleo, a kind of fig.